Financial Wellness is the process of learning how to successfully manage money. Since money plays such an integral role throughout your entire life, it can impact how and when you reach your financial goals. For this reason, Concierge FPG focuses on Financial Wellness by educating and enlightening our clients throughout their financial life. Our goal is to empower you to take greater control and gain confidence with important financial decisions. How much emergency savings should I have? What's the best way to pay down debt such as car loans, credit card debt, student loans & mortgages? Am I saving enough for retirement? Am I maximizing my employer retirement plan? What should I do to prepare for the rising costs of healthcare and long-term care? Should I be worried about significant market downturns? How can I ensure that my spouse and family are taken care of when I’m gone? How do I approach caring for my elderly parents? When you address these questions, your focus can then shift to larger goals like retirement. But when these financial questions remain unanswered, people tend to feel financially unwell, which can actually erode retirement readiness. In fact, a recent survey found that 20% of people admitted to putting off retirement saving because of competing financial priorities. * Things like paying down debt (car loans, credit card debt, student loans & mortgages) and other needs like vacations and home improvements compete for financial attention. Financial wellness education can help to manage competing priorities and set achievable goals. It can also help with budgeting and setting broader financial goals. 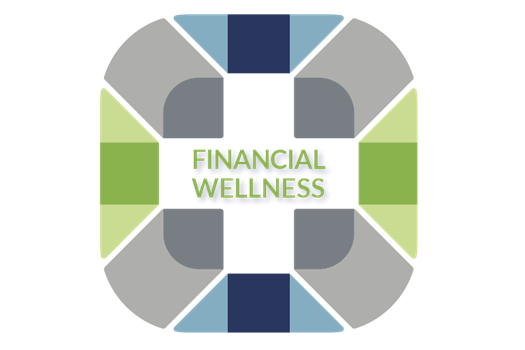 Look to Concierge FPG for financial wellness to enlighten and empower you to take control of your financial life. *Lincoln Retirement Power® Participant Study, 2017.